Light Blue 100% Polyester 23"x23" Flower Satin Scarf. Pink & Olive 21" x 21" 100% Polyester Floral Scarf. 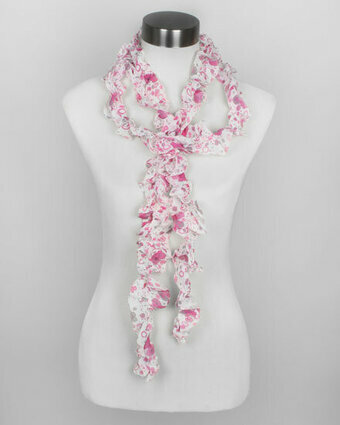 Pink Chiffon Floral and Dot Printed Ruffle Scarf. 78". Red 21" x 21" 100% Polyester Floral Scarf. Red 100% Polyester 23"x23" Flower Satin Scarf. 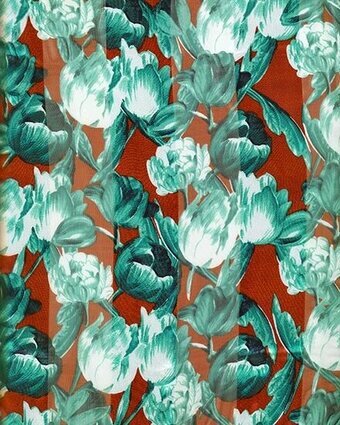 Rust Green 21" x 21" 100% Polyester Floral Scarf.